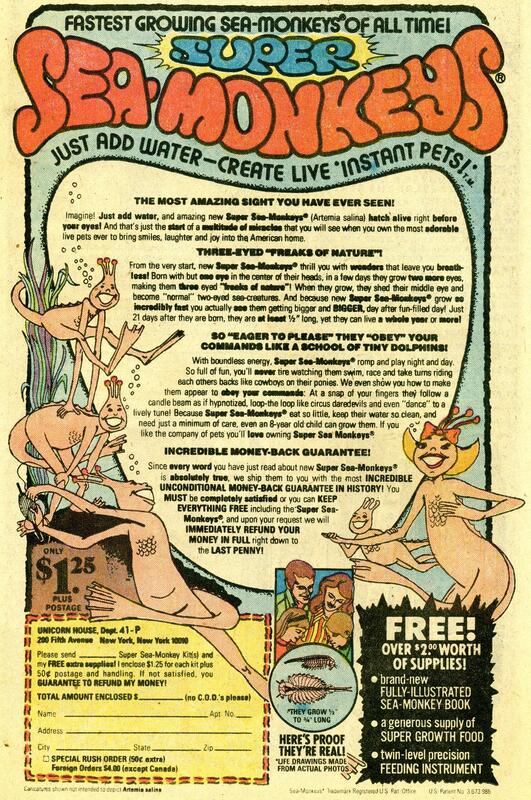 What would a vintage comic book be without ads for Sea Monkeys? Three Eyed Freaks of Nature! 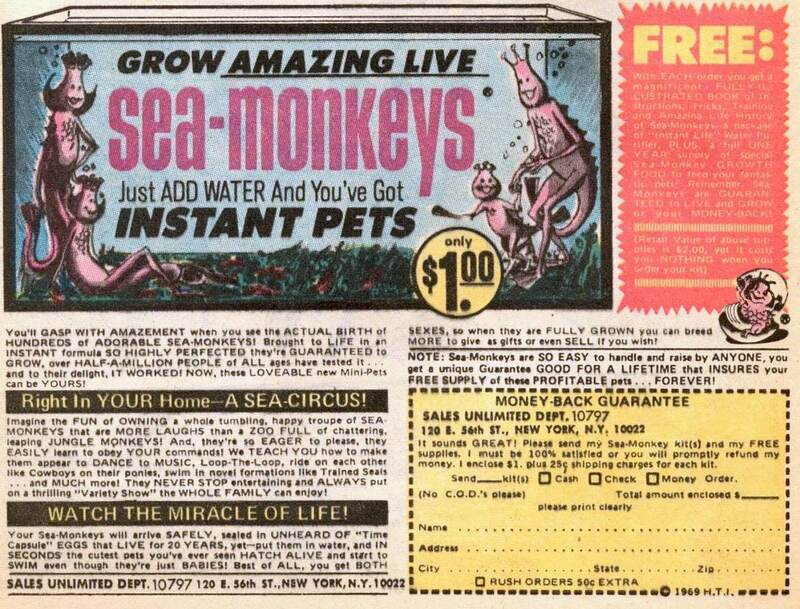 You can still buy them from TransScience Corp. For $20 you can even get a Sea Monkey Scientist Diploma from the Crustacean College of Sea Monkey Knowledge! I got mine a few years ago. It proclaims me Doctor of Denizens of the Deep! What’s there not to like about credentials you can just pay for? 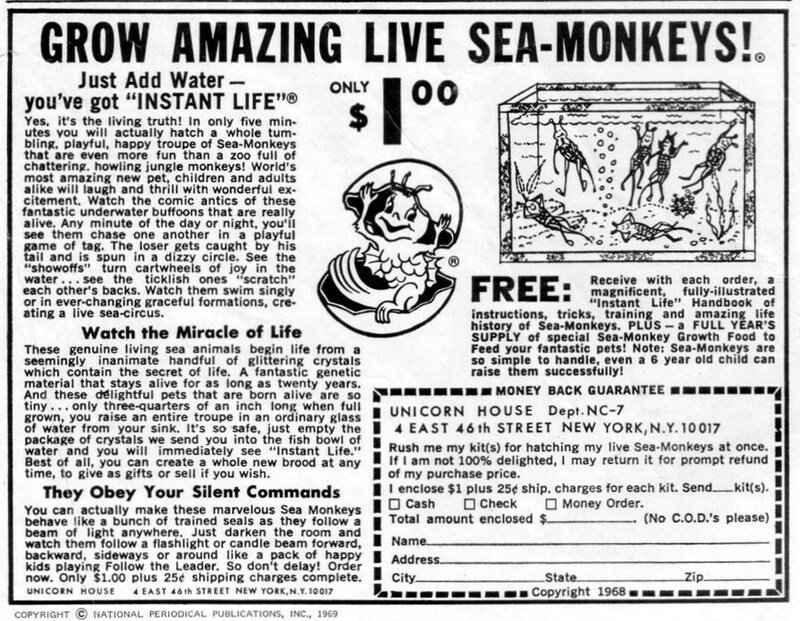 You can also find vintage (out-of-production) Sea Monkey gear on eBay, including the Sea Monkeys on Mars habitat. 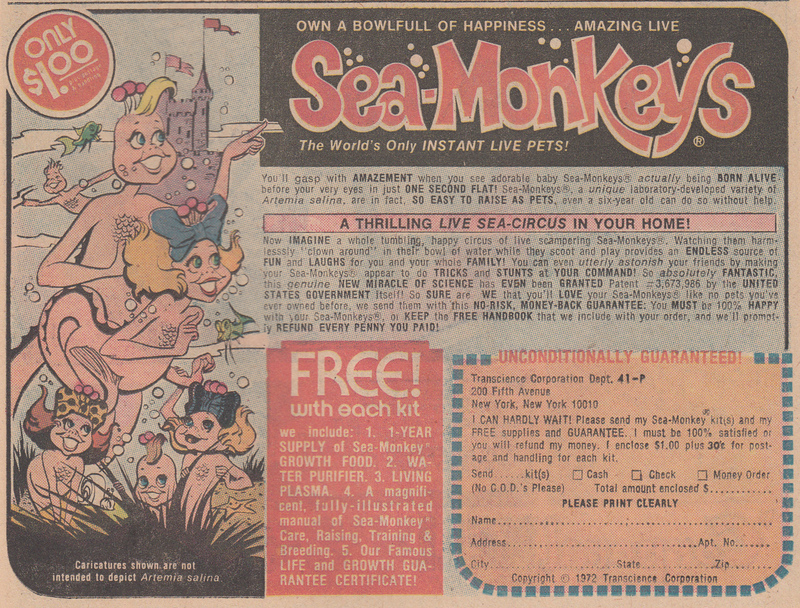 And, of course, people post Sea Monkey videos on YouTube all the time! 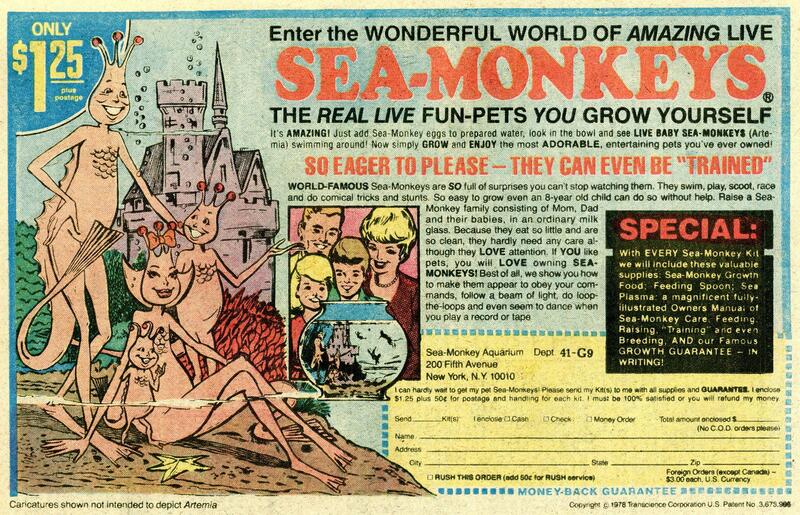 To discover more about their history and the weirdo who invented them, check out the podcast The Strange Story of Sea Monkeys. 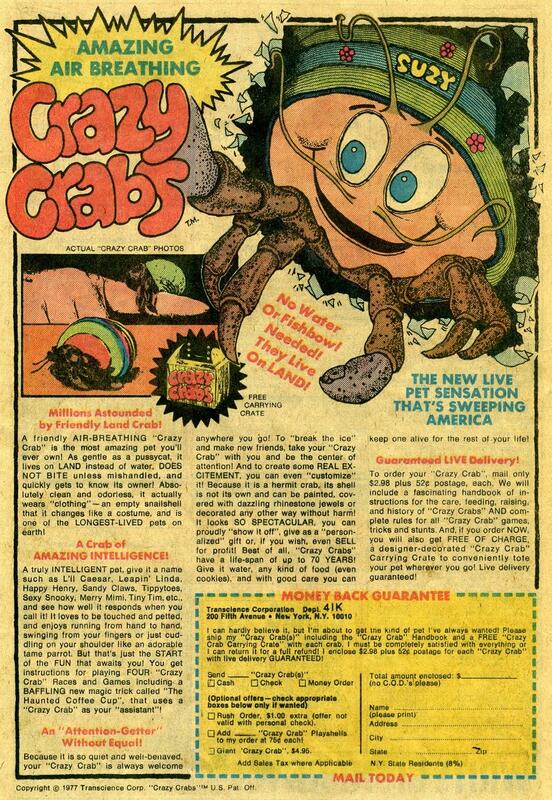 Long live the free and independent crustacean utopia of Seamonkeydoria!